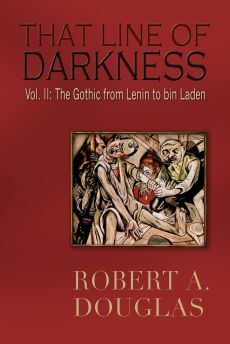 This piece was originally designed to be included in That Line of Darkness: The Gothic from Lenin to bin Laden (Encompass Editions, 2013) but was excluded for reasons of space. On returning home in the early 1850s after visiting South West Africa, Francis Galton, the father of eugenics, reported that he had seen “enough of savage races to give [him] material to think about all the rest of [his] life.” His conviction that the use of selective breeding to improve the human gene pool, combined with the belief by European powers in Social Darwinism, was taken to the extreme outer reach by the Germans when they laid claim to this area in 1884. 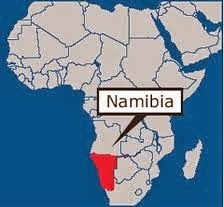 Their initial goal was to appropriate the native Herero and Nama peoples and settle their land with German settlers. The degrading treatment visited on blacks in Jim Crow America was replicated by the Germans from saluting whites to a stark double standard in the justice system. 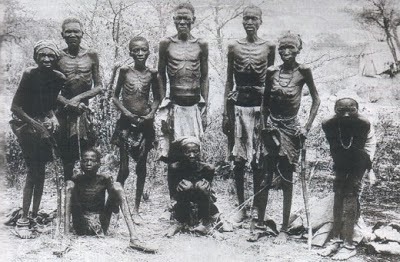 Africans were deemed "baboons" and were treated like animals. The indigenous peoples did not meekly submit to their fate; they rose up in rebellion and killed more than a hundred settlers. In response, the Germans waged all-out war and massacred the Herero with their Maxim guns. The motto of the “Cleansing Patrols” was to “clean out, hang up, shoot down till they are all gone” (Cited in Niall Ferguson, Civilization: The West and the Rest Penguin Books, 2012). Those not killed were put in concentration camps that were more like death camps. 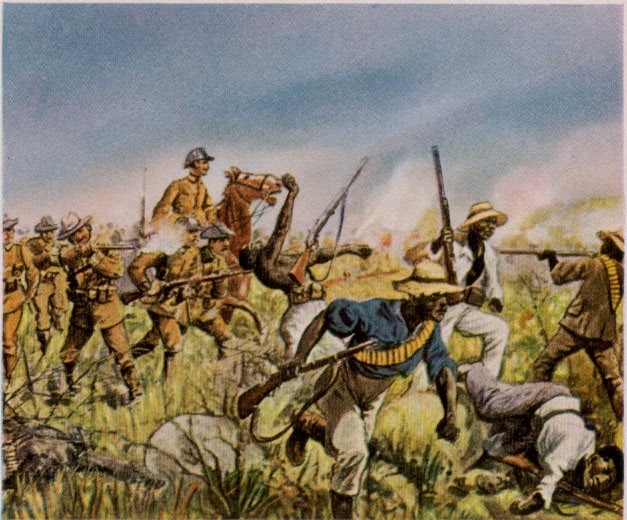 By 1904 the German colonial administration waged a war of annihilation against the Herero people. They also established a precursor of the Nuremberg laws by banning marriages between German settlers and African women and depriving males born of these unions of all rights and privileges accorded German citizens. They also subjected them to forced labour, and in an eerie connection with Nazi Germany the name of the first imperial commissioner was one Dr. Heinrich Göring, the father of Hermann who controlled the largest police force after 1933. It was in one of the African camps that the first medical experiments were conducted. It is arguable whether the Nazi revolution would have acquired public legitimacy, if the excesses committed by Nazi storm troopers, the Gestapo and the SS, had not had research and political support from the medical profession, that included psychiatrists, and the distinguished professors in the social and natural sciences. Professors of anthropology and biology conducted invaluable research that sufficiently “validated” the Party’s racial beliefs and allowed them to justify their policies and programs in the allegedly neutral language of science. Members of the intellectual elite also provided the ideological training to those who would expedite the more grisly tasks. An overview of the career of the pre-eminent anthropologist, Eugen Fischer, a conservative Catholic nationalist from Bavaria, illustrates how a research scientist, who did not conform to the profile of a zealous Nazi, revealed, through his professional activities and personal sensibilities, a predisposition that he could work with them. 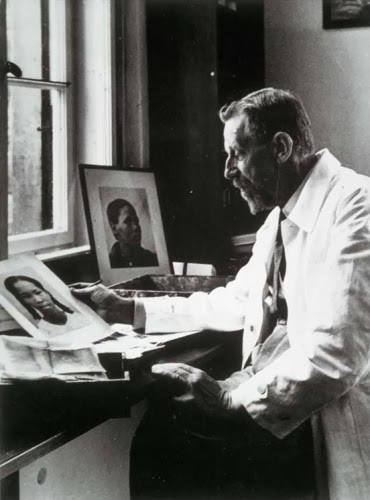 By building his reputation on the study of racial types, Fischer offered the imprimatur of science for the overriding primacy of heredity over environment and social experience in determining human behaviour and for authenticating political racism with the message of racial contamination, particularly when it applied to the dark-skinned races. In 1913, Fischer published a study of the children of Boers and the Herero in South West Africa that became a classic for white supremacists. Without offering evidence, Fischer proclaimed that these offspring were of “lesser racial equality.” Although above indigenous natives, they were judged inferior to whites by the indexes of intelligence, morality and vitality. 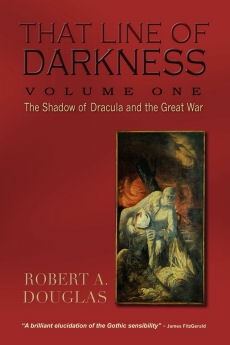 Their intellectual achievements depended upon the proportion of European blood and “without exception, every European nation that has accepted the blood of inferior races…has paid for its acceptance of inferior elements with spiritual and cultural degeneration.” Ten years later when the press was filled with outraged stories about the French using black colonial troops “invading” the Ruhr, Germany’s industrial heartland, over a violation of the Versailles Treaty, Fischer added the pejorative attributes that blacks were “bereft of any spiritual creativity or imagination…yet docile and clever.” As the first director of the prestigious Kaiser Wilhelm Institute for Anthropology, Heredity and Genetics, largely financed by American foundations, that furnished valuable research for the Third Reich, Fischer argued in 1929 that a racial type always showed a uniformity of characteristics. If a child revealed features not in keeping with that race, one of his parents was not pure. By 1939, as the Zeitgeist of the country altered and Germany moved closer to war, Fischer’s views hardened, coloured substantially as much by ideological and political considerations as by any criteria of value-free science. When he addressed coal barons, again repeating the caveat that not all Jews were inferior, he warned that a people must “preserve its own nature, it must reject alien racial elements…must suppress them and eliminate them.” In a chilling harbinger of Nazi policy toward Slavs by the outbreak of war in the same year, he recommended that inferior peoples be given sufficient protection for them to survive “only for so long as they were of use to us.” Within the year, Fischer joined the Party and was researching constant racial characteristics by comparing them from ancient times to Jews in the Lodz ghetto. By 1941, under the auspices of Rosenberg, he participated in a conference where the discussions concerned the “total solution to the Jewish question” in which he suggested extermination through forced labour. Although some scientists were fanatical anti-Semites, others like Fischer were sufficiently nationalist, not merely to be recruited by the Party, but accommodating enough to offer support for the Nazis most repellent policies. This capsule summary of the career of Eugen Fischer illustrates how it was possible for the Party to co-opt and enlist reputable scientists, who did not share its ideological predilections. For personal gain and public recognition, they were impervious to the possibility that their work represented a prostitution of science. Nonetheless, they contributed to their country’s relapse into tribal barbarism.